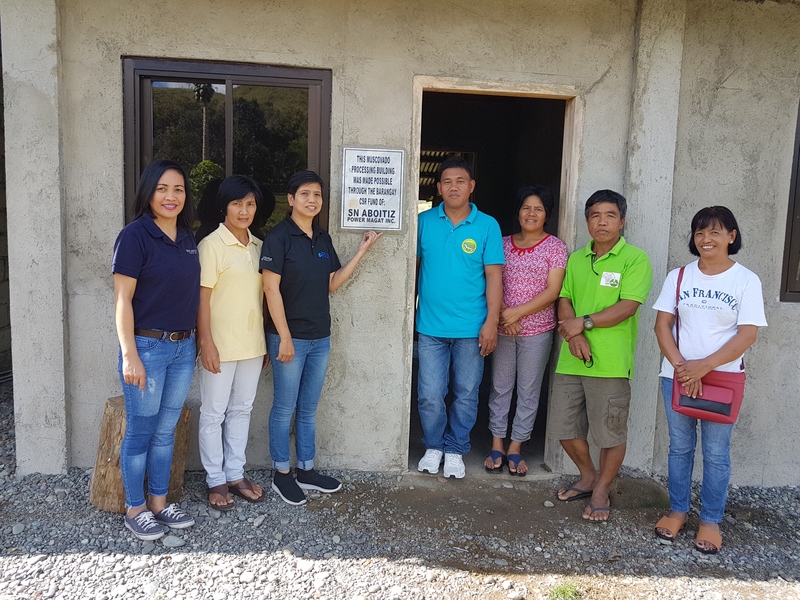 SN Aboitiz Power-Magat’s (SNAP-Magat) Corporate Social Responsibility (CSR) Team and Officials of Barangay Tupaya led the inauguration of a Muscovado Processing Building for the barangay last November 23. Funded through the CSR allocation of Barangay Tupaya in the Municipality of Lagawe, other partners for the project include DOLE who also donated funding for the purchase of muscovado processing equipment, and the municipal government provided sugarcane seedlings for the sugarcane plantation. The Provincial Government of Ifugao is also a strong supporter of this livelihood project. Meanwhile, SNAP-Magat also donated a multicab to the barangay for use during emergencies. According to Barangay Chairman Joey Anghad, so far, the multicab has been helpful not only to Tupaya, but also neighboring Barangays of Buyabuyan and Ponghal where it was used to help rush pregnant mothers to the hospital. During the ceremony, SNAP-Magat was represented by Community Relations Sr. Supervisor Ness Adsuara and Sr. Community Relations Specialist Jennifer Pevidal. Aside from Chairman Anghad, kagawads and members of the Tupaya Environmental Association also graced the event.